Need your hot water tank serviced or a new one installed? Willms Plumbing, Gas Fitting, Heating & Air Conditioning is a family-run business providing quality workmanship on all our plumbing and gas fitting services. Whether you’re doing a renovation or a new construction project, we’ve got your project covered. Our owner, Henry, will bring you the highest quality hot water tanks and provide quality workmanship on the installation—all at a low-cost. We also set up gas BBQ lines, as well as central vacuum systems. Installing a new hot water tank or replacing your old tank with an energy-efficient one will save you thousands of dollars on energy bills in your lifetime. From the sale through to the installation—we’ll get you the best possible water heater on the market suitable for your budget. Not only that, but we’ll install it and replace your old one quickly and affordably. Need a Gas Line Hooked Up? 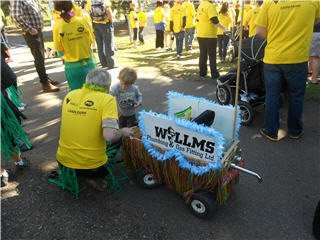 rely on Willms Plumbing, Gas Fitting, Heating & Air Conditioning. We are also proud to announce that we are expanding to include heating and air conditioning services. Our new partner, Ken Paul, has 20 years of experience in heating and air conditioning service and replacements. Contact Ken for installations, repairs and estimates today! We participated in the Lethbridge Steps for Life, which is a community walkathon for families involved in workplace tragedies. 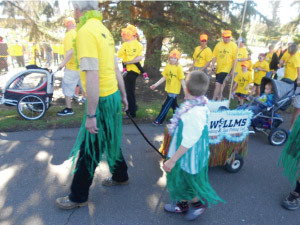 We also participated in the Lethbridge Street Wheelers event.